يحظى فندق Burleigh Surf بمكان متميز في محور المدينة والاستمتاع بـ سياحة, برامج عائلية, شواطئ في هذه المنطقة الفاتنة. يمكن من هنا للضيوف الاستمتاع بسهولة الوصول إلى كل ما تقدمه هذه المدينة النابضة بالحياة. سوف يعشق النزلاء موقع هذا الفندق، فهو قريب من أهم المعالم السياحية في المدينة . إن الخدمات التي يقدمها Burleigh Surf تضمن للنزلاء إقامة مريحة. لضمان راحة ضيوفه، يقدم الفندق الخدمات التالية: تسجيل وصول/خروج سريع, تخزين الأمتعة, صف السيارات, رعاية أطفال, مرافق للشواء . في Burleigh Surf غرف نوم يزيد عددها عن 62 صممت بذوق وعناية لتوفر لك كل وسائل الراحة . بعضها يحتوي أيضاً على تلفزيون بشاشة مسطحة, حوض الاسترخاء, غرف لغير المدخنين, مكيف هواء, تدفئة. سواء كنت من محبي الرياضة أو كنت تتطلع لتفريغ عناء نهار صعب، ستجد خدمات ذات مستوى عالي بانتظارك كمثل حوض استحمام ساخن, مركز للياقة البدنية, ساونا, مسار جولف - ضمن 3 كم, حمام سباحة خارجي. استمتع بخدمات لا يعلى عليها وعنوان ذو اعتبار في Burleigh Surf . 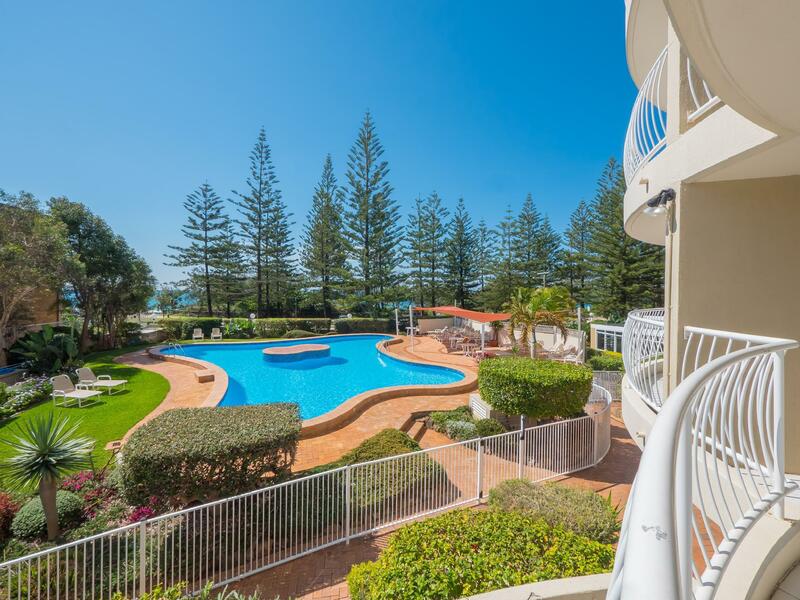 Beautiful views, easy access, comfortable facilities and the flagged swimming beach right across the road. The surf life-saving club just a few minutes walk away and coles and take-aways a short walk away. Brilliant. This was our first stay at Burleigh Surf and it certainly won't be our last. Next time we will be looking to book for an extended stay. We had a standard apartment and it was more than adequate for our needs. The overall maintenance of the apartment could do with a little work, but honestly who is going to be looking at peeling paint spots on the walls when you have the magnificent views through every window? The location is superb, this area absolutely leaves the "Gold Coast" for dead. Everything you need is here and right near. Our one criticism would be that it's very disappointing that the resort is one that still allows smoking on balconies. 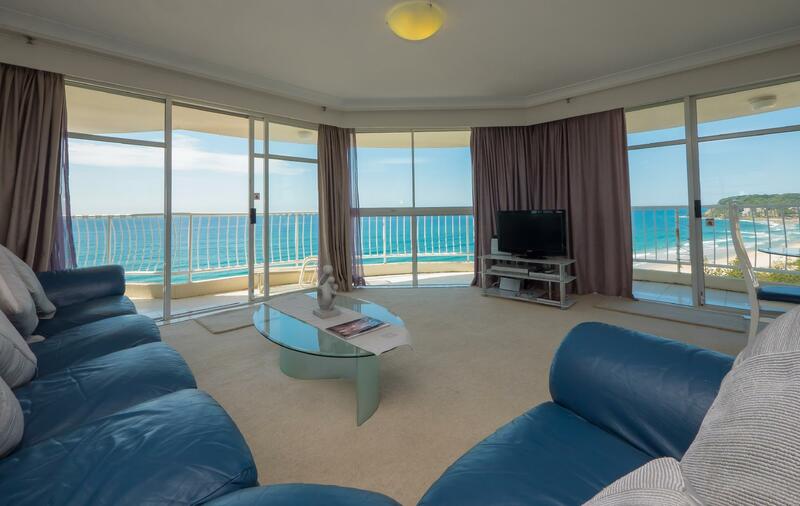 We couldn't have our balcony door open too often for our enjoyment of the ocean noise and breezes without someone's second hand smoke also coming into the room. But overall Burleigh Surf was fantastic and we look forward to going again. We felt that it was bit old ,the mattress on our bed was excellent. Furniture was rather old also maybe more cutlery would've been good Crisper in fridge was broken . The unit wasn't very clean bathrooms were quiet dusty and dirty especially around the toilets . I've been told that they've employed new cleaners which is good news. We did love our views and are looking forward to staying there again . only con was being a big apartment the one aircon in the living area did not cool down the bedrooms after a hot day. fan very noisy on high. Very nice location with great view. Definitely will come back again. Our room was on the 30 floor which offered fantastic views of the coastline. The kitchen was well stocked with quality cooking equipment. The only issue we had was that the room was not ready/cleaned until 4pm - and checkout is 9:30. Regardless of school holidays the management should have been better prepared. My wife and I (both in our sixties) had a great time, but so did our three-year-old grand-daughter and nine-year-old grandson, who spent quite a lot of time with us. In fact, I believe that people of any age would enjoy Burleigh Surf. There are only four apartments on each floor, so they are very spacious. The lounge-room is bigger than our lounge-room at home; the kitchen has everything you could want for food preparation; the master bedroom was very comfortable, with built-in wardrobes and an ensuite bathroom; and the second bedroom had two single beds--ideal for children or twin share. 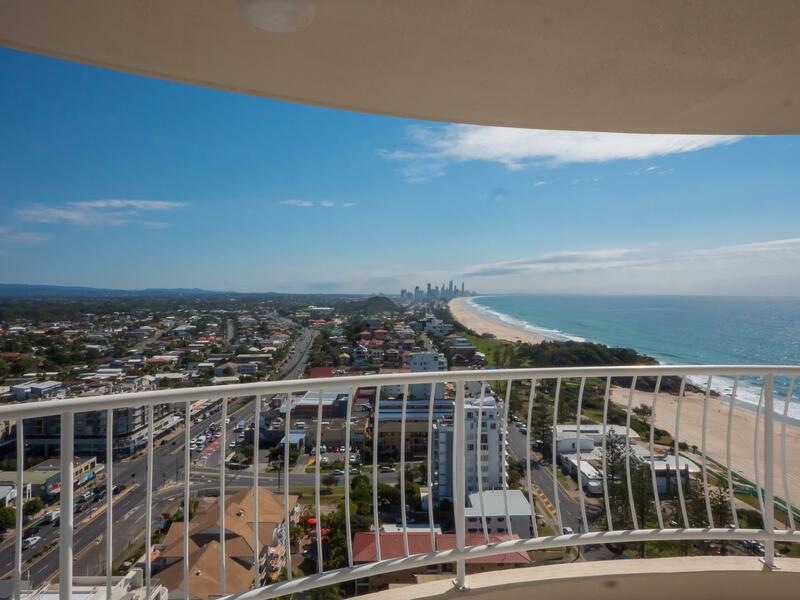 The balcony overlooked Burleigh beach, which is one of the best beaches in the country. The sound of the waves gently breaking on the shore sent us into a deep sleep each night and was a joy to wake up to in the morning. There is an excellent Chinese restaurant ('Miami Rice') about four minutes walk towards Miami beach, and a large supermarket a couple of minutes further on. The indoor pool is at 'Goldilocks' temperature (not too hot, not too cold) and the spa is as good as I've experienced at any hotel in the world. There is a small gym with a limited range of fitness equipment, but walking paths across the road have lots of fitness-related equipment dotted on each side, so the gym was more of a bonus than anything else. By staying at Burleigh Surf we also qualified for membership of the Burleigh North Life Saving Club (or similar name). This is a few hundred metres from Burleigh Surf and serves very good food/wine/beer, with discounted prices for members. The weather was little short of sensational during our stay--warm but not too hot, a couple of passing showers but otherwise sunny with blue skies, and only one windy afternoon in seven days. 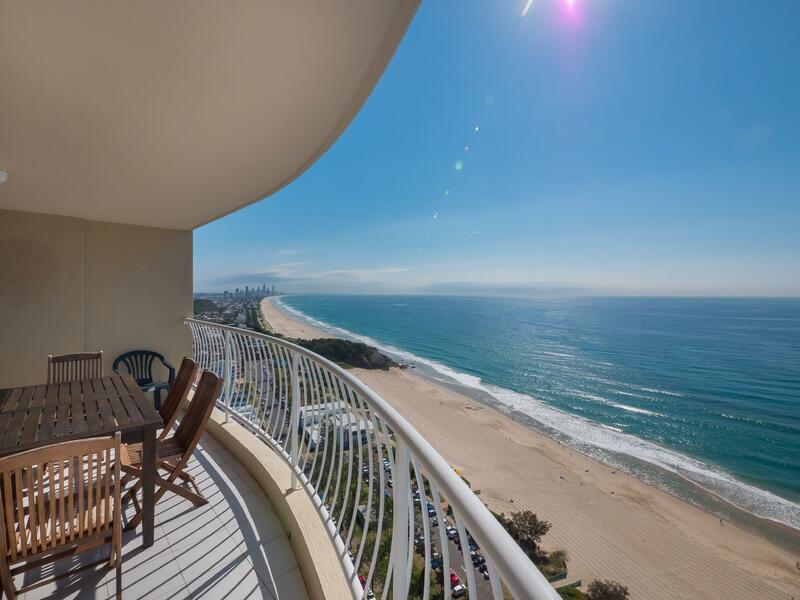 I strongly recommend Burleigh Surf if you want good quality accommodation at a reasonable price. Loved it. 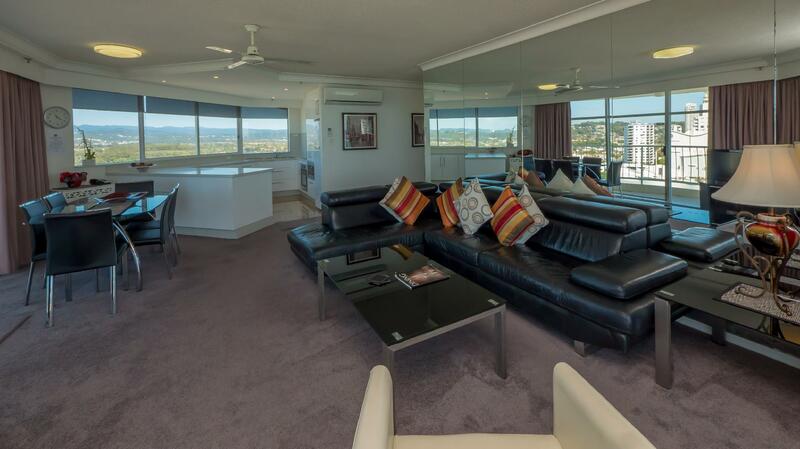 Easy to find, great location, spectacular views, very clean and comfortable. Brilliant restaurants at Burleigh Heads. 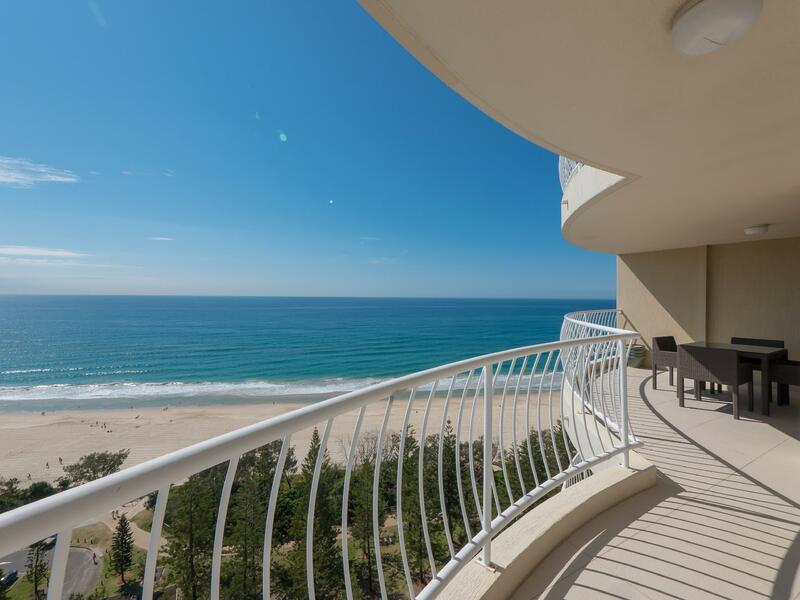 This is not the first time we have stayed at Burleigh Surf and it definitely won't be the last. The quality and standard of this resort is second to none. Renovation of the pool area, recently completed, is another big plus for this place. We love it and will keep coming back. 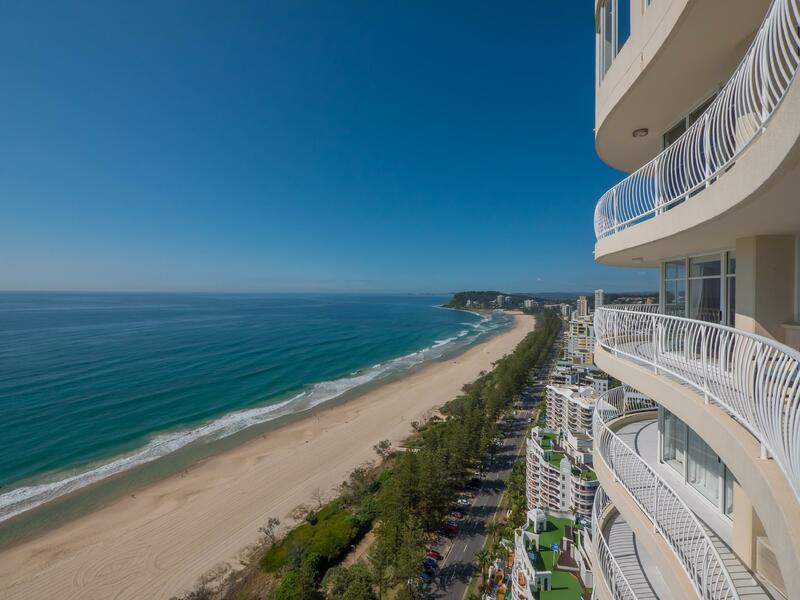 The Burley Surf is a great holiday location for the family. Good size apartment, clean, well managed. Kids loved the indoor pool. We would certainly stay there again. Hotel room was very spacious with a large balcony. The spa bath was great and I used this a couple of times. Lindo departamento. Excelente vista y ubicación. La playa hermosa justo al frente. Piscinas y todas las comodidades. Lo recomendaría de todas maneras e Oria denuevo.